There are many reasons why you may need a new car key. Perhaps the key has been stolen or you’ve misplace it. Maybe you need another key for your own peace of mind. Is the key broken in the ignition? We hear these problems every single day from frustrated customers who’ve called upon us to take care of their needs. We understand those frustrations and act accordingly. We’ll come to your location no matter what time of the day or night and resolve your problems. 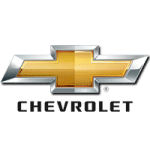 We are Door N Key Locksmith and making Chevrolet keys is what we do best. No matter what model Chevrolet you drive, our expert locksmiths can cut your key on-site. We provide efficient key creation that helps you get back on the road quickly. After all, there is so much more to do than sit around waiting on a locksmith to arrive and do the job the right way! Just give us a call if there is a problem and we’ll quickly come to your location to make your new key. We’ll make ignition or trunk keys and have the equipment and training to make transponder keys too. We know keys and we know the Chevrolet brand. If you need keys, call us for top-notch service.